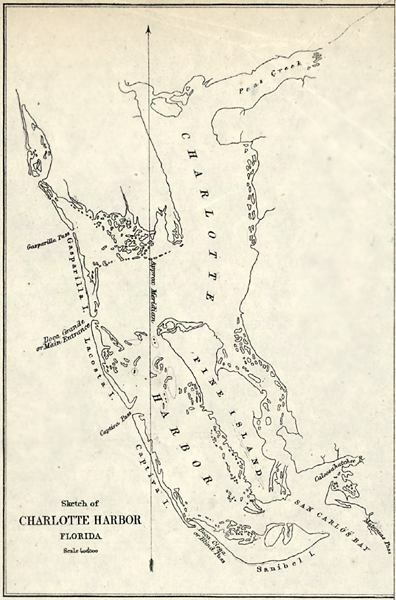 Description: This detail of a map of the main entrance to Charlotte Harbor showing the Charlotte Harbor area with surrounding islands, passes between islands, and bodies of water such as bays and rivers current to 1863. The map scale is 1:40,000. It includes the approximate meridian line.